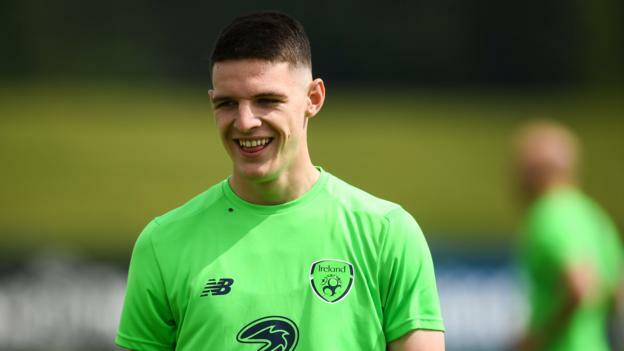 Former Republic of Ireland midfielder Andy Townsend disagrees with the rules that allowed Declan Rice to switch international allegiance to England. Rice, 20, won three senior caps for the Republic of Ireland, all in friendlies. However, he was able to pledge his international future to England as he had not played in a competitive match. “I think the rules are wrong and they don’t do anyone any favours,” Townsend told BBC Radio 5 live. Rice was born in England but has played for the Republic, his grandparents’ country, since under-16 level. In August, he said he needed more time to decide his international future. “I don’t think there is any doubt that over time he will get an opportunity to play for the senior England national team,” added Townsend, who was born in England but earned 70 caps for the Republic. “But it’s such a shame because I think he is ready now to really go and lead Ireland and propel them forward.